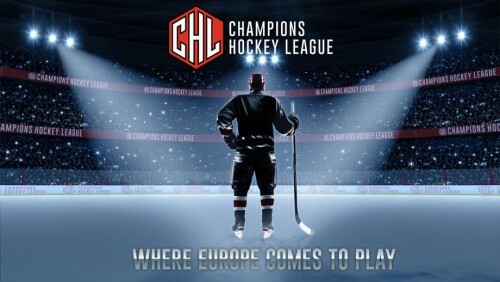 The 2015 Champions Hockey League seems closer than before after the group draw took place today at the 02 Arena in Prague. With all 48 teams present to see who they’d face in the groups, Czech legends Dominik Hasek and Robert Reichel drew the teams to see who will be fighting each other to escape the groups, with games starting on the 20th August and finishing on the 6th of September. Some changes for the second season of the CHL, with 48 teams taking part other than the 44 teams that took part last season, with the teams made up of the best from 12 leagues around Europe. Eight teams from Sweden and Finland, including last season’s winners Lulea Hockey from the north of Sweden will take part, with six teams from the Czech Republic, Switzerland and Germany, four coming from Austria with the other 12 coming from Belarus after Neman Grodno won the 2014 Continental Cup, then Great Britain, France, Norway, Denmark and Slovakia took the remaining spots. All 48 teams were placed into groups of 3, with the top two advancing to the playoff rounds, until a champion is crowned in the final game on February 9th 2016.